Locality near Mantua, Italy, where there was a great slaughter of Jews in 1547. 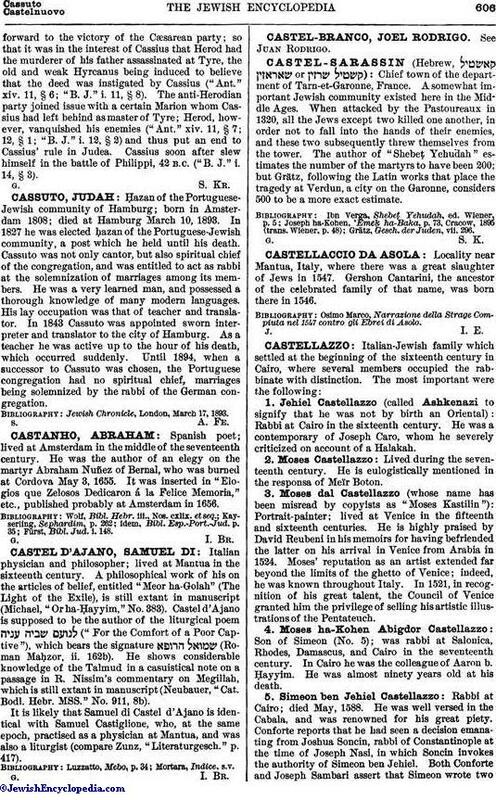 Gershon Cantarini, the ancestor of the celebrated family of that name, was born there in 1546. Osimo Marco, Narrazione della Strage Compiuta nel 1547 contro gli Ebrei di Asolo.